The garden of Sissinghurst Castle is indubitably among the world's most famous 20th century gardens. 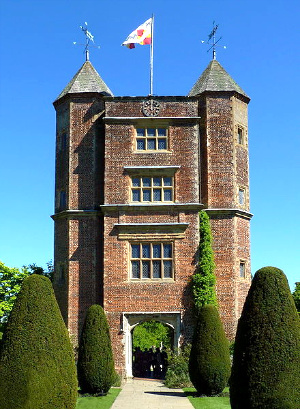 Sissinghurst Castle started as a stone manor house in the Middle Ages, replaced by a brick mansion by the Baker family (related by marriage to the Sackvilles of Knole) in 1480, and again by an Elizabethan house in 1560-70. In the mid-18th century, the house served as a camp for French prisoners of war, and 2/3 of the buildings were subsequently destroyed. The Cornwallis family took possession of the estate in 1855, who used it as a farmhouse. In 1930 the property was purchased by Vita Sackville-West (born in nearby Knole House), the woman responsible for the magnificent garden that can be seen today. Vita and her husband, diplomat and writer, Harold Nicolson, created 10 separate gardens, each with a different feel, reflecting their divergence in style, from Vita's romanticism to Harold's classicism. The gardens were first opened to the public in 1938, and were bequeathed to the National Trust in 1967, 5 years after Vita's death. Sissinghurst is open from Friday to Tuesday, 11am to 6:30pm, between 20 March and 31 October. Admission is £7 for adults and £3.50 for children. 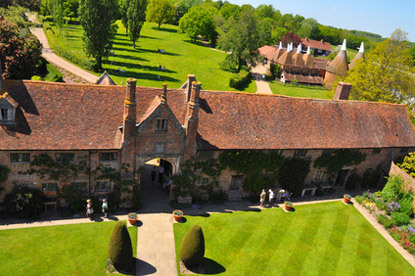 Sissinghurst is located about 9km south of Staplehurst train station (1h from London Charing Cross, £12.30) near the crossing of the A229 and A262 roads. A special bus links Staplehurst station to the garden on Tuesdays and Sundays between 9 May and 29 August. Otherwise, Kent & Sussex bus 4/5 running between Maidstone and Hastings stops 2km from the garden (get off at Sissinghurst).